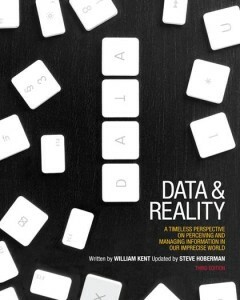 William Kent (1936-2005) was a renowned researcher in the field of data modeling. Kent worked at IBM and later at Hewlett-Packard Laboratories, where he helped develop prototype database systems. He spoke at conferences worldwide posing questions about database design and the management of information that remain unanswered today. He also served on or chaired several international standards committees. Kent lived in New York City and later Menlo Park, Calif., before retiring to Moab, Utah, to pursue his passions of outdoor photography and protecting the environment.